Some people believe that Bigfoot is a big hairy animal that lives in forests. That is scary for people who live near a forest. Bigfoot has other names: Sasquatch, Yeti, Abominable Snowman. But because some people say they have seen Bigfoot it doesn't mean that it's real. But Bigf... read full description below. Some people believe that Bigfoot is a big hairy animal that lives in forests. That is scary for people who live near a forest. 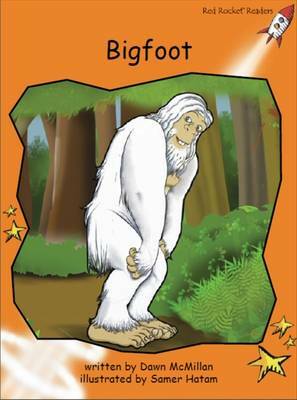 Bigfoot has other names: Sasquatch, Yeti, Abominable Snowman. But because some people say they have seen Bigfoot it doesnt mean that its real. But Bigfoot stories can be fun or scary.